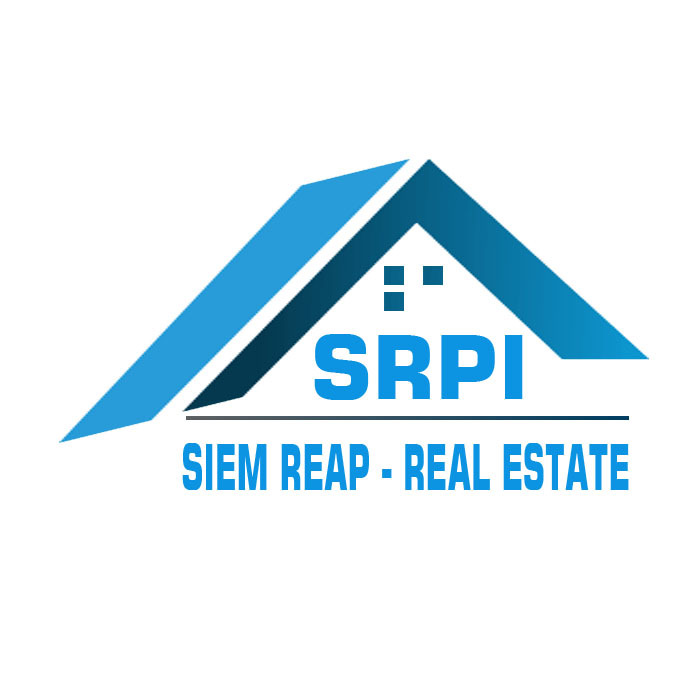 Introduce to a potential 36 – bedroom boutique hotel for lease location in Slor Kram Commune, Seim Reap Town, Cambodia. This beautiful property provides with high quality fully furniture, a perfect swimming pool, a private city view balcony, a restaurant, greenish garden and a parking space. There are 4 main categories include single room, double room, twin room and family suite. Each bedroom is suite and equipped with air-conditioning, a fitted wardrobe, a bedside table, fantastic beautician table, flat screen TV, safety box, and an en-suite bathroom with hot water and more. The furnished receptionist area featured completely furnished with comfortable sofa set, extra ceiling fan, computer desk and desk top computer. Moreover, perfect pool side view in front of the building and linked to the perfect restaurant and mini bar that guests can enjoy and relax during the meals time. In addition, surrounding environment is secured and the road condition is good. This is the must see property. Call or drop us a message to schedule the time to visit this lovely BOUTIQUE. The option is available for long term contract. Highly recommend to a luxury and amazing 20 – bedroom boutique hotel becomes available for lease location in Slor Kram Commune, Seim Reap Town, Cambodia. This beautiful property provides with high quality fully furniture, stunning swimming pool, a private city view balcony, a restaurant, greenish garden and a parking space. Every bedroom is suite and equipped with air-conditioning, a fitted wardrobe, a bedside table, fantastic beautician table, flat screen TV, safety box, and an en-suite bathroom with hot water and more. The The superb lobby area featured completely furnished with comfortable sofa set, extra ceiling fan, computer desk and desk top computer. Offering the perfect pool side view in front of the building and linked to the perfect restaurant that guests can enjoy and relax during the meals time. Furthermore, surrounding environment is secured and the road condition is good. This is the must see property. Call or drop us a message to schedule the time to visit this lovely BOUTIQUE. The option is available for long term contract. Affordable and central 1 – bedroom apartment for rent is well situated in Sangkat Sala Komreuk, Siem Reap Town, Cambodia. The property provides fully furnished, stunning swimming pool, and parking space. The bedroom equipped with A/C, wardrobe, bedside table, and an en-suite bathroom with hot water. The fabulous living room area and kitchen featured of small sofa set with extra fan and a flat screen TV and comes complete with refrigerator, microwave, gas stove set with gas tank, and comfortable dining table set. The superb free of charge swimming pool set ground floor at the nearby hotel, that would be easy for all the guests to relax and spend their lovely time there. It’s inclusive of cable TV fee, internet fee and rubbish collection fee. It is a must seen property. Splendid and lovely 2 – bedroom serviced apartment for lease location in Slor Kram Commune, Siem Reap Town, Cambodia. The property provides a high quality fully furnished, fabulous outdoor swimming pool, backup generator, large parking space, security guard. Every bedroom equipped with a comfortable mattress with bed-frame, air-conditioned, fitted wardrobe, bedside table, useful working table and an en-suite bathroom with hot shower. The amazing living room area featured of wooden sofa set with air-conditioning and a flat screen TV. In addition, the functional kitchen is truly modern and comes complete with refrigerator, washing machine, microwave, gas stove set with gas tank, and comfortable dining table set. The wonderful free of charge swimming pool is stunning and tenant can relax and spend their lovely time there. It’s inclusive of, water fee, cable TV fee, internet fee and rubbish collection fee and cleaning service 4/month. The surrounding environment is secured and the road condition is good. It is a must seen property. Highly recommend to 12 – bedroom boutique villa, turn key 100% for high season become available for lease location in Sangkat Koak Chork, Seim Reap Town, Cambodia. This beautiful property sets of in peaceful and greenery location and provides with high quality fully furniture, stunning swimming pool, leafy tropical garden and a secured parking space. Every bedroom is suite and equipped with air-conditioning, a fitted wardrobe, a bedside table, fantastic beautician table, flat screen TV, and an en-suite bathroom with hot water and more. The The superb lobby and receptionist area featured completely furnished with comfortable sofa set and extra ceiling fan. Offering the perfect pool side view in front of every building that guests can enjoy and relax during the meals time. The surrounding environment is secured and the road condition is OKAY. This is the must see property. Call or drop us a message to schedule the time to visit this boutique villa. The option is available for long term contract. Highly suggest to an alluring 3 – bedroom villa for lease location in Sangkat Chreav, Siem Reap Town, Cambodia. This property provides with fully furnished, greenish garden and a very big parking space. Every bedroom is en-suite and equipped with air-conditioning, fitted wardrobe, bedside table and an en-suite bathroom with hot water. In addition, the living room provides comfortable sofa set with an A/C and flat screen TV. The kitchen is truly mordern comes completely with an ample space for cooking, a refrigerator, gas stove set, gas tank and dining table set. The surrounding environment is secured and the road condition is GOOD. This is the must see property. Call or send us a message to schedule the time to inspect this VILLA. A perfect 2 – bedroom villa for rental/sale location in Kandek Commune, Siem Reap Town, Cambodia. This property provides with beautiful atmosphere, greenish garden, parking space, secured and peaceful area. Every bedroom is en-suite and equipped with air-conditioning and an en-suite bathroom. Moreover, the living is well decoration and huge. The kitchen is truly modern comes completely with an ample space for cooking. The surrounding environment is secured and the road condition is GOOD. This is the must see property. Call or send us a message to schedule the time to inspect this modern VILLA. Propose to a splendid and beautiful 2 – bedroom residential villa becomes available for lease location in Sangkat Sala Komreuk, Siem Reap Town, Cambodia. This property provides with high quality fully furnished, stunning shared swimming pool, spacious leafy tropical garden, secured parking space with remote control gate and backup generator. Every bedroom is en-suite and equipped with air-conditioned, fitted wardrobe, bedside table and an en-suite bathroom with hot water. On top of that, the living room provides comfortable sofa set with an extra ceiling fan and flat screen TV. Other benefit, the kitchen is truly modern and comes complete with an ample space for cooking, a big refrigerator, gas stove set, gas tank and dining table set. It’s inclusive of cable TV fee, internet fee and rubbish collection fee. The surrounding environment is secured and the road condition is good. This is the must see property. Call or send us a message to schedule the time to visit this amazing Residential VILLA. Introduce to alluring 1 – bedroom apartment for lease location in Sangkat Svay Dangkum, Siem Reap Town, Cambodia. This property provides with high quality fully furnished, lovely greenish garden and a large secured parking space. The bedroom is suite and equipped with A/C, fitted wardrobe, a bedside table and an en-suite bathroom with hot water. Moreover, the amazing living room is set up with comfortable sofa set, a flat screen TV and an extra ceiling fan. Furthermore, the kitchen is functional and comes complete with refrigerator, a set of dining table, gas stove set and gas tank. The road condition and surrounding environment are great. Offering a free charge of internet fee, cable TV fee, cleaning service 1/week and garbage collection fee. This is the must see property. Call or drop us to arrange a schedule to visit this wonderful APARTMENT. Introduce to a western style and affordable 2 – bedroom villa for lease location in Sangkat Slor Kram, Siem Reap Town, Cambodia. This property provides with fully furnished, greenish garden and parking space. Every bedroom is en-suite and equipped with air-conditioning, fitted wardrobe, bedside table and an en-suite bathroom with hot water. What is extra, the living room provides comfortable sofa set with an extra ceiling fan and flat screen TV. The kitchen comes completely with an ample space for cooking, a refrigerator, gas stove set, gas tank and dining table set. The surrounding environment is secured and the road condition is GOOD. This is the must see property. Call or send us a message to schedule the time to inspect this VILLA. Let you know about beautiful wooden style 4 – bedroom house for lease location in Sangkat Slor Kram, Siem Reap Town, Cambodia. This property provides with high quality fully furnished, greenery garden and a large secured parking space. Every bedroom is en-suite and equipped with air-conditioned, fitted wardrobe, bedside table and an en-suite bathroom with hot water. Furthermore, the living room provides comfortable wooden sofa set plus cousin with an extra ceiling fan and flat screen TV. The kitchen comes complete with an ample space for cooking, a big refrigerator, gas stove set, gas tank and dining table set. The surrounding environment is secured and the road condition is good. This is the must see property. Call or send us a message to schedule the time to visit this wonderful HOUSE. Highly recommend a luxury and beautiful 2 – bedroom villa becomes available for lease location in Sangkat Sala Komreuk, Siem Reap Town, Cambodia. This property provides with high quality fully furnished, stunning shared swimming pool, spacious leafy tropical garden and secured garage. Each bedroom is en-suite and equipped with air-conditioned, fitted wardrobe, bedside table and an en-suite bathroom with hot water. Beside that, the living room provides comfortable sofa set with an extra ceiling fan and flat screen TV. Other benefit, the kitchen is truly modern and comes complete with an ample space for cooking, a big refrigerator, gas stove set, gas tank and dining table set. It’s inclusive of water fee, cable TV fee, internet fee, rubbish collection fee, and cleaning service 1/week. The surrounding environment is secured and the road condition is good. This is the must see property. Call or send us a message to schedule the time to visit this amazing VILLA. Page generated in 0.1946 seconds with 4 database query.